Our dear friends and founders of Sing for Hope, Monica Yunus and Camille Zamora, appear on CBS Sunday Morning. Watch and marvel at how Sing for Hope’s Pop-Up Pianos give New Yorkers the opportunity to connect with one another, and later bring the beauty of arts education to school children. Diabetes is a lifelong disease with no cure. That’s why Randi Traison and her family has committed to partnering with Juvenile Diabetes Research Foundation (JDRF), the leader in diabetes research. 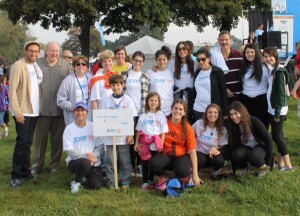 In 2004, they created a JDRF Walk team, TEAM TRAISON. Every year, they solicit friends and family to help raise money for diabetes research. While a cure might be a long time off, everyday JDRF is finding and funding technological advances to make living with Type 1 diabetes easier. 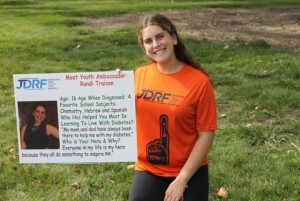 Randi has become a Youth Ambassador for JDRF and has been called on to speak at various events for them. In the shadow of downtown Detroit, near the old Tiger Stadium site, an amazing program is giving women and girls from adverse backgrounds a real chance for economic success. Perhaps you’ve heard of the Mercy Education Project? Chosen as Crain’s Best Managed Nonprofit in 2013, MEP works with 300 girls and women each year in afterschool tutoring and GED classes to assure they have a real chance at college and careers. Started by the Sisters of Mercy, MEP is a small organization that manages great outcomes with limited resources. Chief among those resources are 10,000 hours of donated volunteer assistance. I serve on the MEP Board, so I know firsthand how eager the students are to learn, how well run the program is, and how satisfying it is to see a young girl grow in academic skills and self-esteem. The annual Doorway to the Future Dinner is the premier MEP annual fundraiser. 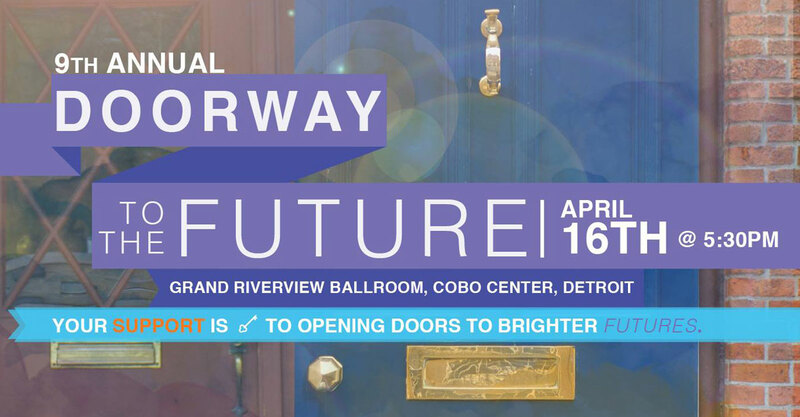 The 9thAnnual Doorway to the Future Dinner will be held at Cobo Center in Detroit on April 16th. Income from the dinner provides about 15% of MEP’s total budget.